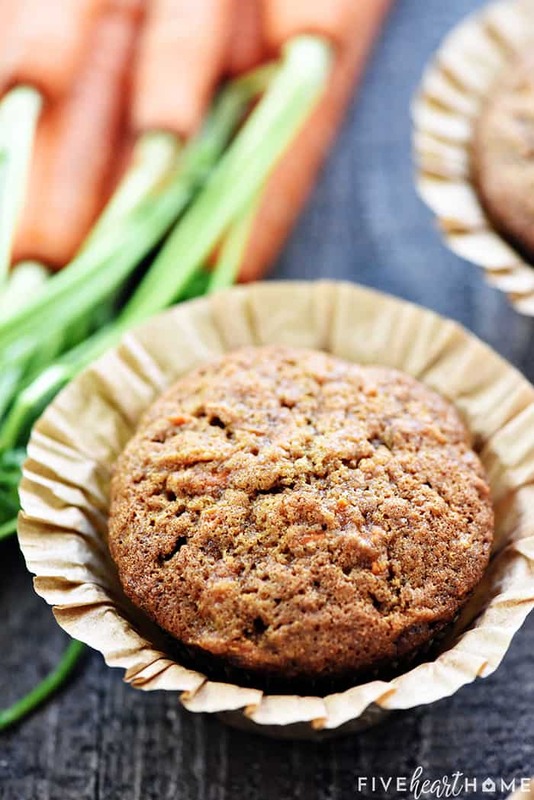 Whole Wheat Carrot Muffins boast the deliciousness of carrot cake in a yummy, wholesome muffin that’s great for breakfast, snacktime, or even dessert! If you love healthy muffins as much as I do, then you’ll also want to make these tasty Whole Wheat Lemon Blueberry Muffins, these couldn’t-be-any-easier Banana Blender Muffins, or these lovely Whole Wheat Apple Cinnamon Muffins. I find it pretty much impossible to keep muffins in my house longer than 24 hours. They are barely out of the oven before someone in my family is milling about, waiting to just “try one.” And by “try one,” I mean they inevitably eat all of them. 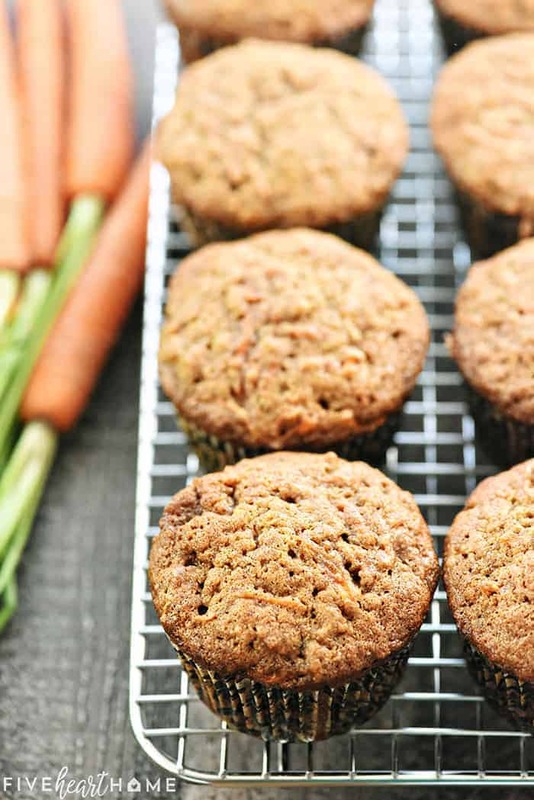 Making these Carrot Muffins is a cinch. After preheating the oven, insert cupcake liners (paper or silicone) into 18 muffin cups. 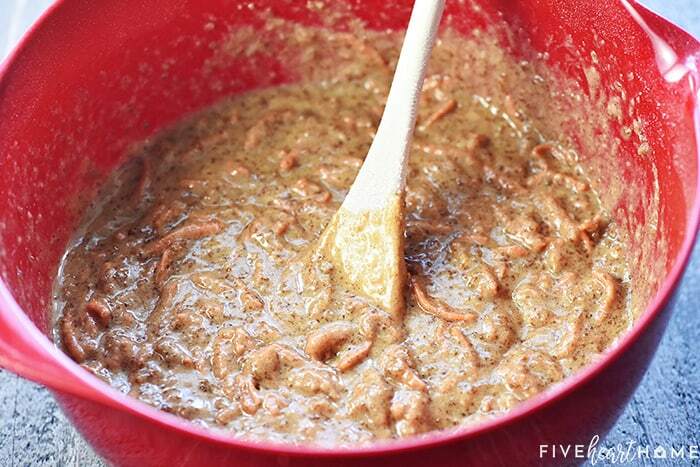 Whisk together the dry ingredients and add the sugars, stirring until everything is nice and incorporated. 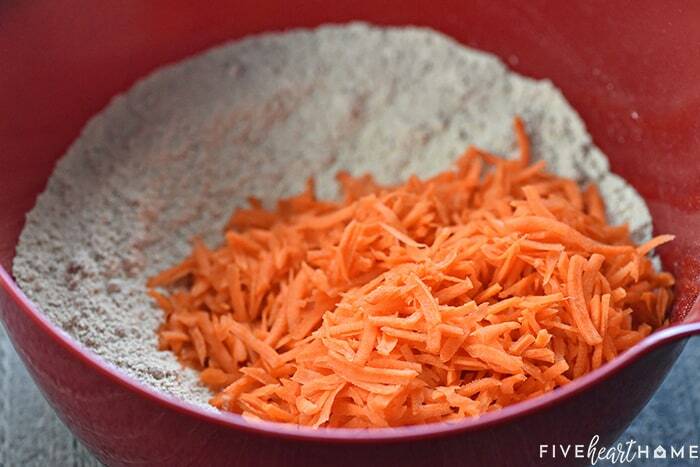 Then mix in the grated carrots, making sure that all of the shreds are evenly coated by the flour mixture. Take out another bowl and whisk together the eggs, oil, applesauce, and vanilla. Pour the wet mixture over the dry and stir until just combined. Stirring with a wooden spoon works just fine…there’s no need to use an electric mixer. The final step is to divide the batter between the lined muffin cups and pop the pans in the oven for 15 to 20 minutes until the muffins are risen, golden, and a toothpick inserted into the center comes out clean. 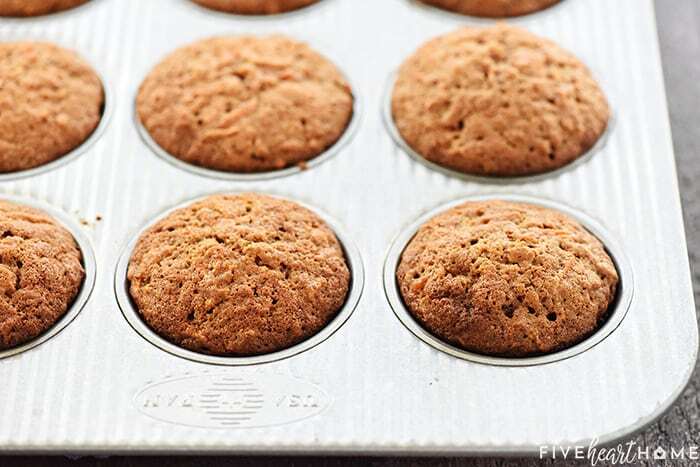 Give your Carrot Muffins five minutes to cool in the pan if you can. I mean, I’ve been known to try to sneak a bite right out of the oven…but I’ve also burned my tongue more times than I care to admit. Then pop them out of the pans to let them finish cooling on a wire rack. Nuts! 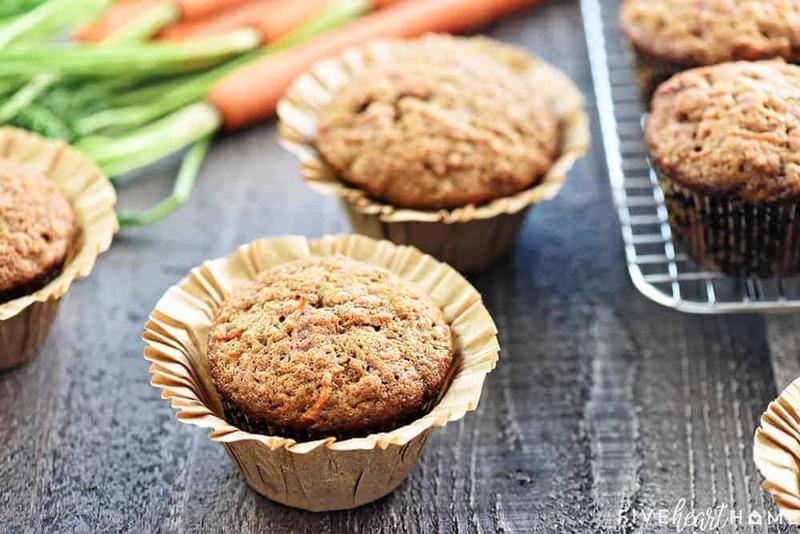 If you’re a fan of all things crunchy, you’ll love the addition of nuts to these carrot muffins. And toasting your nuts beforehand always ups the crunch! 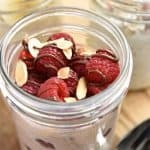 Half a cup of chopped, toasted pecans or walnuts work really well, but I’ve also been known to add slivered, toasted almonds. And if you want to be kind to the non-nut-lovers in your life, you can parcel out half of the batter, add nuts, and spoon the rest into the liners. That way, everyone wins! Dried fruit like raisins, cranberries, or even apples are yummy additions that contribute flavor and texture to these muffins. 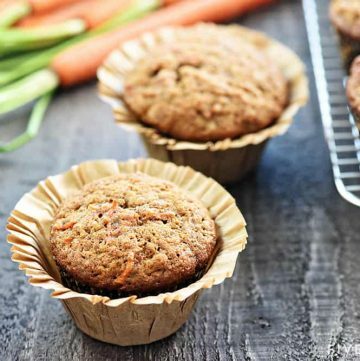 If you’re feeling adventurous, add dried pineapple, mango, or coconut flakes to give this carrot muffin recipe a tropical twist! To boost the health factor, stir a couple tablespoons of poppy, flax, or chia seeds into the muffin mixture. Just be careful not to go overboard — especially with the chia seeds. They absorb a lot of moisture and you don’t want them to dry out your batter. 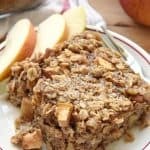 Try adding a sprinkling of oats over the top of the muffins before they bake to give the tops a little bite and extra chewiness. Plus, it makes ’em purty. 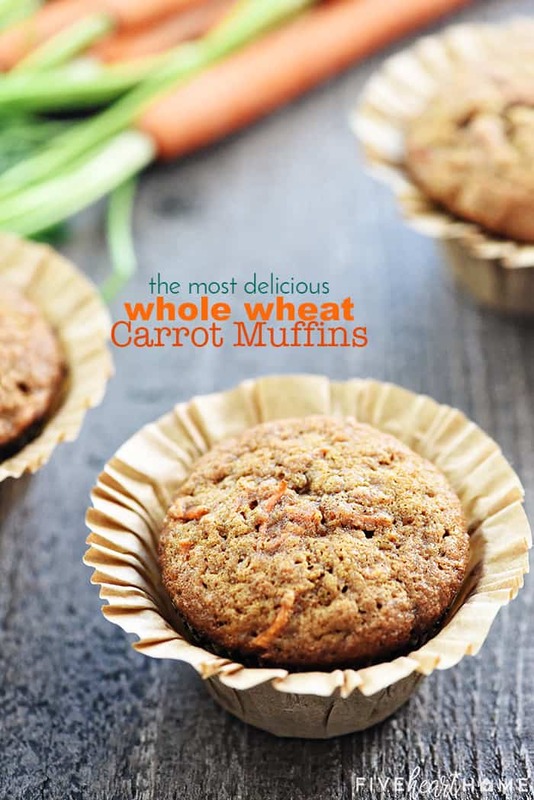 This carrot muffin recipe calls for whole wheat pastry flour, which is a 100% whole wheat flour that lends baked goods a lighter taste and texture, more akin to that of white flour. That being said, if you’d like to make this carrot muffin recipe gluten-free, feel free to substitute a Gluten-Free 1-to-1 Baking Flour for the whole wheat pastry flour. 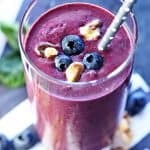 You may also experiment with substituting almond, oat, or buckwheat flour at a 1:1 ratio. Keep in mind, however, that since these alternative flours can be denser, you may have to tweak the batter a bit to get the right consistency, and your final muffins could have a heavier texture and/or not rise as much. I tend to make a big mess when I try to pour and/or spoon muffin batter into the pans, so I like to use a cookie scoop to fill my muffin cups with less mess. Even though I use a cookie scoop, I still manage a drip here and there. I recommend wiping the spilled batter from the tin before baking. Otherwise, it will bake onto the pan and be that much harder to scrub off later! My new favorite muffin pan is non-stick, quick-release and — let’s face it — nicer to look at than my grubby old rusted-out tins. If you don’t have a bag of pre-grated carrots, you can easily shred your own with a box grater. However, since I’m really lazy time-conscientious, I typically use my trusty food processor with its shredding disc attached when I need to grate a bunch of veggies. Whole wheat pastry flour is one of my very favorite pantry staples. 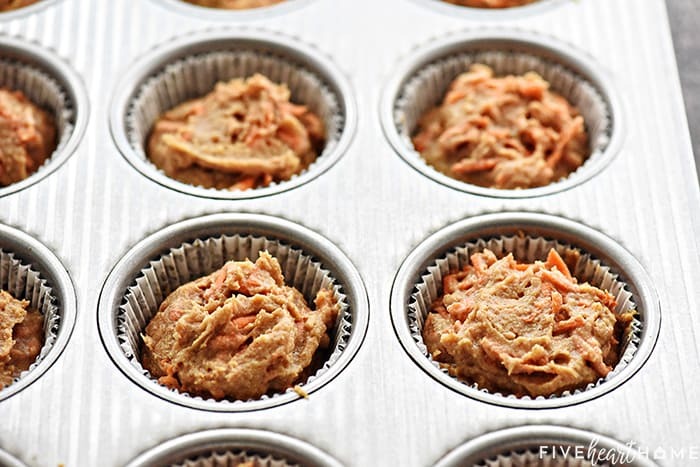 It’s the key to getting these whole wheat carrot muffins to be light and airy as opposed to heavy and dense. But if making your muffins gluten-free, this flour is my recommendation for doing so. Muffins are just better fresh…but that’s not to say they aren’t delicious later on as well. I store mine in an airtight container at room temperature for up to two days. If I have any left after that (which would be surprising), I stick them in the fridge. And there you have it…the long and short of one of my favorite muffin recipes! 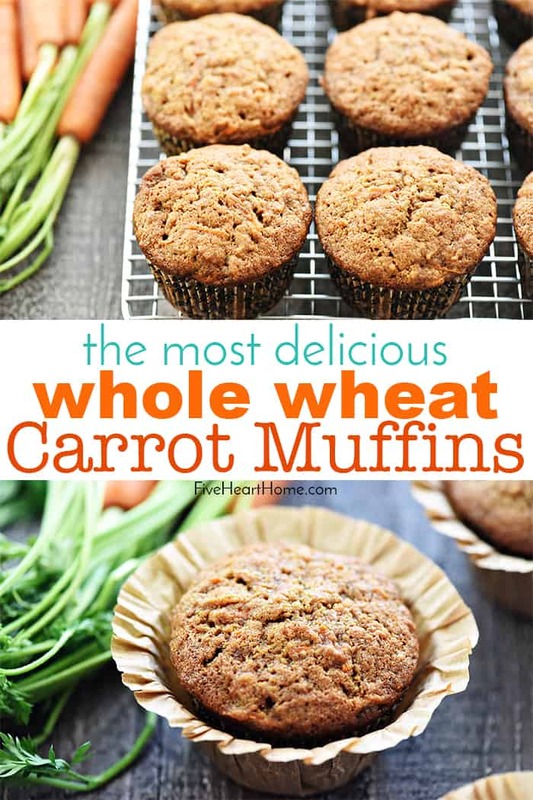 If you enjoy these Whole Wheat Carrot Muffins, consider making a double batch. Or even make several batches with various mix-ins for variety. You can always freeze and save some for later. 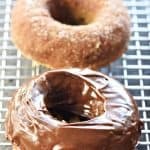 Either way, I promise…you’re going to want them again and again! 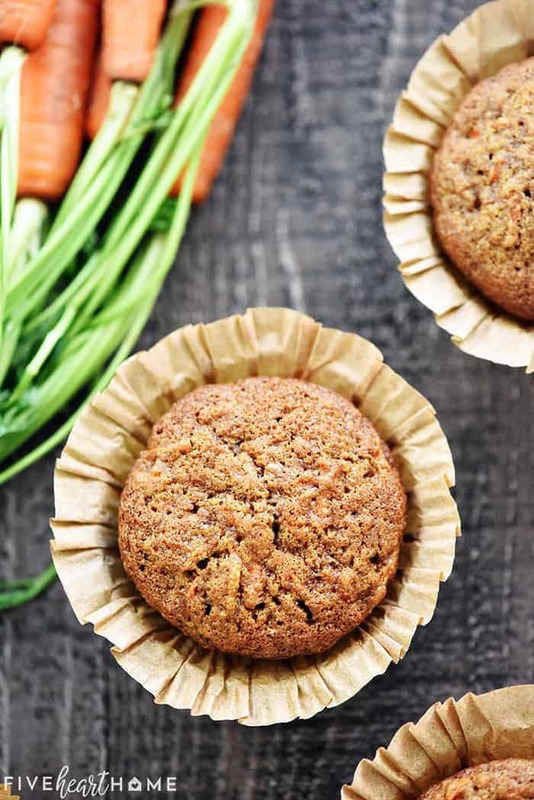 Whole Wheat Carrot Muffins boast the deliciousness of carrot cake in a yummy, wholesome muffin that's great for breakfast, snacktime, or even dessert! Preheat oven to 350°F. Line 18 muffin cups with paper liners. In a large bowl, whisk together the flour, cinnamon, baking soda, and salt. Mix in the sugars until well-combined, and then stir in the shredded carrots until evenly coated with the flour mixture. Mix in the optional add-ins, if using. In a medium bowl, whisk together the eggs, oil, applesauce, and vanilla. Pour the egg mixture into the flour/carrot mixture and stir until fully incorporated. Evenly divide the batter between the 18 prepared muffin cups. Bake for 15 to 20 minutes or until the muffins are risen in the center and test done with a toothpick. After five minutes, carefully remove the muffins from the pans and cool on a wire rack. These muffins are very moist and not intended to rise very high. Muffin cups should be about 2/3 full with batter before baking.